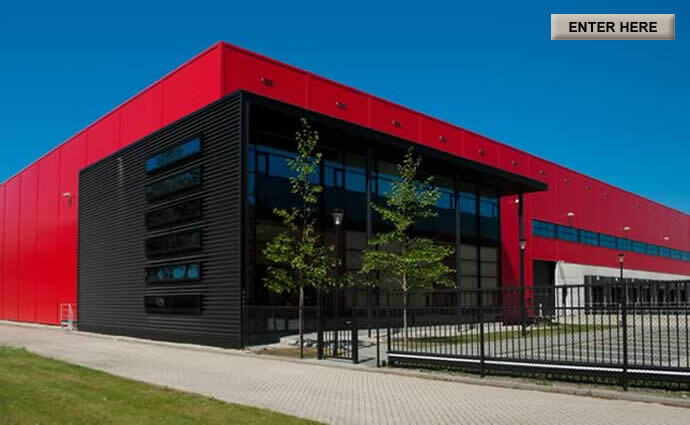 Tool Systems Inc is an applications oriented company. We have the ability to evaluate and introduce new technology and tooling to help you increase production, reduce cycle time and improve tool life. Our friendly and knowledgeable staff are experts in the cutting tool industry. We provide quality products & problem solving solutions, competitive pricing and dependable deliveries to meet your cutting tool needs. We proudly represent QPM, YG-1, Harvey Tool, Garr Tool, Titan USA, LMT Fette, Ceratizit Carbide, Manchester Carbide, Korloy Carbide and many others. Please refer to our line card for additional manufacturers. You can order many of our product brands on-line through our Let's Shop page. We specialize in reconditioning high performance carbide drills and drill tips. Huge Savings rebuilding damaged indexable cutting tools instead of buying new. 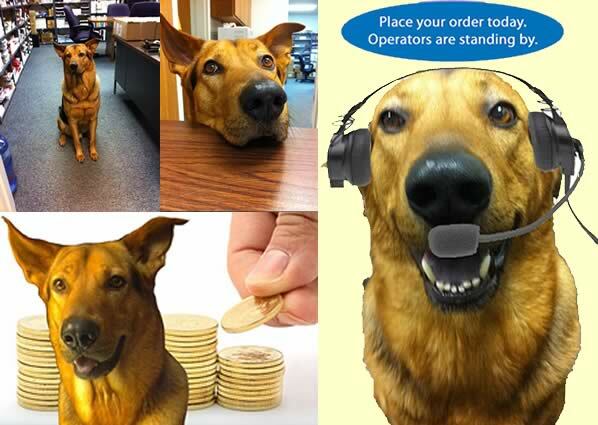 Some of you know Peppe, he is our guard dog, mascot, and best friend. 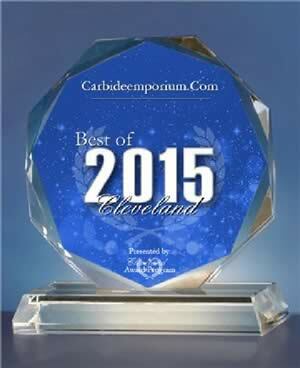 by the Cleveland Award Program. 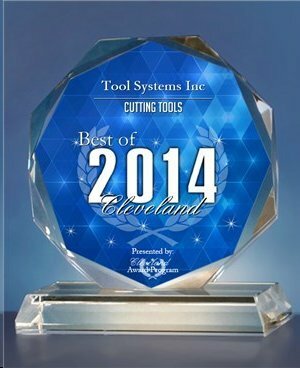 in the Cutting Tools category by the Cleveland Award Program. 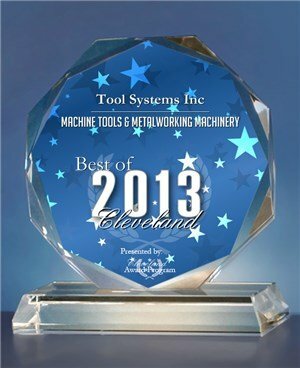 Tool Systems Inc has been selected for the 2013 Best of Cleveland Award in the Machine Tools & Metalworking Machinery category by the Cleveland Award Program. 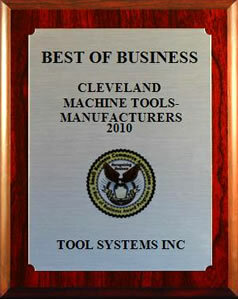 The Small Business Commerce Association (SBCA) is pleased to announce that Tool Systems Inc has been selected for the 2010 & 2011 Best of Business Award in the Machine Tools-Manufacturers category. 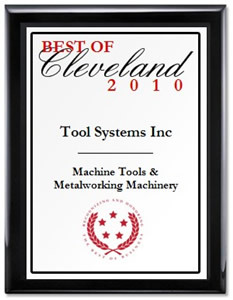 December 7, 2010 -- Tool Systems Inc has been selected for the 2010 Best of Cleveland Award in the Machine Tools & Metalworking Machinery category by the U.S. Commerce Association (USCA). 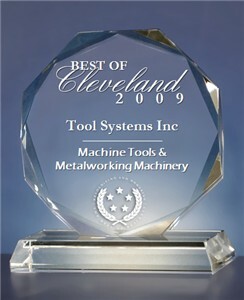 WASHINGTON D.C., June 8, 2009 -- Tool Systems Inc has been selected for the 2009 Best of Cleveland Award in the Machine Tools & Metalworking Machinery category by the U.S. Commerce Association (USCA).